Every year during the month of May, I take my 7th and 8th grade band students on a trip to Orlando, Florida. While this may sound like most people's idea of what the ninth ring of hell is like, it's (surprisingly) very enjoyable. In addition to getting to go to Disney World or Universal Studios, we also participate in either a concert at a large outdoor venue or a workshop where the students get to see what it's like to be a studio musician for a movie production. I've also been very blessed to have traveled with groups of students that were exceptionally well behaved along with chaperones who are always on top of things. But no matter how good the children are, there are some things that children (and adults) won't do the way that they're supposed to...like eating actual food. Oh don't get me wrong; they definitely eat a lot. But in addition to the park food that their all you can eat wrist bands provide for them (and isn't exactly healthy stuff, either), they are away from their parents, who will often times give them a significant amount of cash "in case of an emergency." 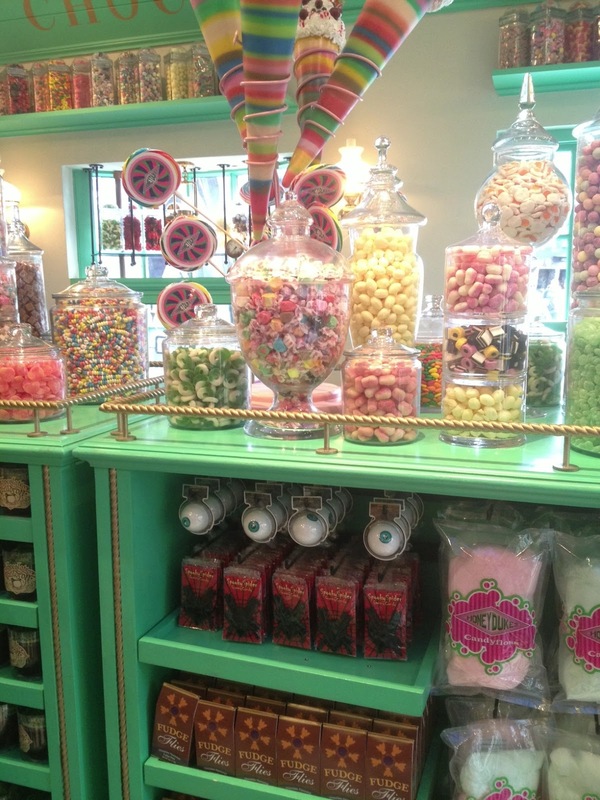 For one of my students named Mackenzie, that "emergency" ended up being her presence inside of Honeydukes, the incredible candy store located in Universal Studio's Harry Potter World. 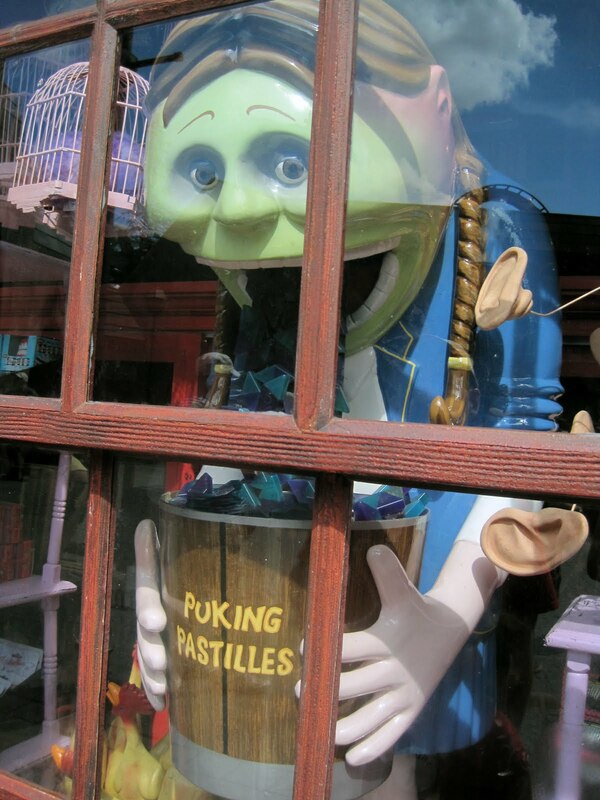 Now in her defense, it is truly a beautiful site to behold for anyone (myself included) that has a sweet tooth. But you could potentially develop diabetes just from standing in the store for too long. It is also definitely not a place to to buy mass quantities of food with which to replace an entire meal. Mackenzie, however, has a young person's heart (and metabolism), meaning that she probably consumed more sugar in one helping than would be safe for anyone that wasn't a gummy bear. Combine that with a generous helping of Butter Beer (the non-alcoholic but deadly sweet and sugary drink served throughout Harry Potter world), and Mackenzie's digestive system was in no shape to go on any thrill rides...which of course she did. Mackenzie and her boyfriend, Jack (awwwwww) decided to get in line for Harry Potter and the Forbidden Journey, a "robocoaster" that utilizes a mixture of projected film scenes, animatronics, steam/water effects, and cars that move, pivot, and whirl inside of a dark/enclosed environment. 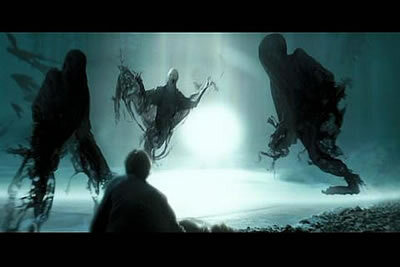 You get chased by a dragon that gets right in your face and breathes fire (steam) on you, giant spiders spit venom (water) at you, and evil Dementors get all up in your grill during a Quidditch match. Below is a video that takes you through the ride from the point of view of one of the occupants (who must have also had a death grip on his or her camera). Even if you don't know a thing about the Harry Potter universe, it's still a pretty amazing ride. Unfortunately for Mackenize, it's also very intense and motion oriented. She had earlier warned Jack that her stomach felt a little funny, but bravely decided to soldier on after already waiting in line for a long time. At this point, you can probably guess what happens next just by the title of the article and the series of dietary mistakes that have led to this point. But Mackenzie, who made All-State in 7th grade on the contra bass clarinet and is a great student, doesn't do anything halfway...which apparently also includes barfing. At one point during the ride, the car you are seated in swings wildly to one side while also flipping you straight back so that you're looking directly up at the ceiling. It was right then that all the sugary food Mackenzie had been eating launched like a bat out of hell from her esophagus and into the air. The artificially sweetened vomit then came right back down to earth and landed on Mackenzie. Whether it was the clumps of puke that had repatriated themselves to her body or another bout of sickness caused from the food she had eaten that day, Mackenzie wretched and once again hurled a stream of partially digested candy through the darkened hallways of Hogwarts Castle. By the time she (and the ride) was done, Mackenzie had projectile vomited a grand total of five times. After they got off, Mackenzie wisely determined that she should visit the first aid station. Now if it had been me in this situation, I would have been an absolute wreck. I am a complete and total pansy when it comes to throwing up. A bout of upchucking, no matter how small, leaves me weak, teary eyed, and violently shaking. Once I've puked, that's pretty much a wrap on the rest of they day while I go lay down and whine like a big baby for a few hours. Mackenzie, on the other hand, is one tough girl. While walking from Harry Potter World to the first aide station (located in The Lost Continent), she had to hold up the bottom of her shirt the entire ways so that more puke didn't fall onto the ground....and LAUGHED the whole way there. Once she arrived at first aide, her boyfriend Jack, who had accompanied her there (AWWWWWW), told the medical personnel what had happened. The Universal staff (either out of kindness or pure disgust) allowed Mackenzie to take a shower in their facilities. While myself and a few of the chaperones waited in the lobby, Jack fretted and expressed his concern for Mackenzie's well being (interspersed with occasional declarations of how "awesome" her high velocity puke had looked). After about half an hour, Mackenzie emerged wearing clothes provided to her by Universal. The shirt was actually pretty cool. The shorts...not so much. But it was an incredibly kind and appreciated act none the less. when the shorts you were wearing before are covered in barf. Mackenzie was pretty embarrassed about the whole thing, but I assured her that despite how horrible she had initially felt, she had also become a legend. I don't know many adults that have such an incredible vomiting story OR could have handled it as well as she did. We also discussed how candy doesn't replace any of the other food groups for an entire meal. But if kids eating too many sweets is the biggest problem I have to deal with on a 3 day trip, I'd say that I'm pretty lucky to have such a great (if sometimes unpredictable) group of students. There are a lot of things I am very proud of Mackenzie for, but I never thought any of them would involve her resolve in the face of copious amounts of regurgitated candy. I guess even after nine years of teaching, you never know how your kids will surprise you. to steal Mackenzie's happiness and got a face full of barf, instead. To get updates on when new articles or podcasts are published (and occasional random musings) 'Like' the official RamblingBeachCat.com Facebook page. Every time someone does, a Dementor gets puked on.